Create a compelling and highly valued story about the technological breakthroughs and advances of this organization and its commitment to consumer understanding. The success of our PR program, in its highest year, translated to over $124 million in equivalency to paid Advertising. our PR campaign won the Silver Anvil Award, from the Public Relations Society of America. In the mid to late 2000’s BERKMAN was approached by JABRA, a Western European firm, who bought the Bluetooth Technology firm JABRA. They were originally based in San Diego, but moved two years later to Chicago. Our challenge was to create a compelling and highly valued story about the technological breakthroughs and advances of this organization and its commitment to consumer understanding. The following is an outline of our process and what we accomplished to demonstrate ROI. As a sales marker, the company was posting annual sales of $45million when we began. When we left almost six years later, the company was grossing over $247million. Later, we were hired by JABRA’s sister company who specialized in the office products marketplace. We worked for them for four years. We met immediately with the San Diego team to conduct a major strategic planning summit. Attendees included CEO; CFO; VP of Sales, manufacturing, operations, marketing; and three members of my team. The purpose of the strategic planning summit was to gain information about the product in comparison to its competition. Additionally, we researched previous PR practices, message content, PR placements and the results achieved. Results were not impressive for the fees they received. We developed the strategic planning outline for which I served as the Facilitator. We to put together a strategic plan document for its first year of implementation. We identified all target audiences and reached out to sales representatives at “big box” stores to learn how they presented the product to the consumer and what background information they had in their new technology field. We created focus groups and presented the product for responses and questions. We discussed value, packaging, knowledge of the technology, and their level of interest in its use and purchase. We also discussed all practical aspects of the design. Since the Plan was National in scope, we researched areas across the country where sales to date were strongest and use of cell phones was the highest. We additionally determined what “sales channels” were the strongest and where we had the most “big box” and phone store sales. We developed the media plan based on media that most predominantly influenced in these areas and the best communications channels to use. We redesigned and developed a new “media information kit” with all new content. We did some preliminary “seeding” of the product nationwide, by sending the product and story to nearly 200 top TV and print journalists who followed consumer technology in large markets. Our plan was highly comprehensive and created the key messages, that would stand the test of time, with an aggressive PR push to posture the technology as a major tech breakthrough. We re-launched the product broadly (worldwide), at the annual Consumer Electronics Show (CES) in Las Vegas. We developed the material used by the sales team on the floor of the convention floor at the JABRA booth. We brought in our USA CEO and Sr. VP Sales and Marketing as JABRA spokespersons; both of whom we media trained completely. We pre-arranged about 25 interviews with major consumer and business publications nationally as well as selected interviews with technology and consumer journalists from the Wall Street Journal and the New York Times. 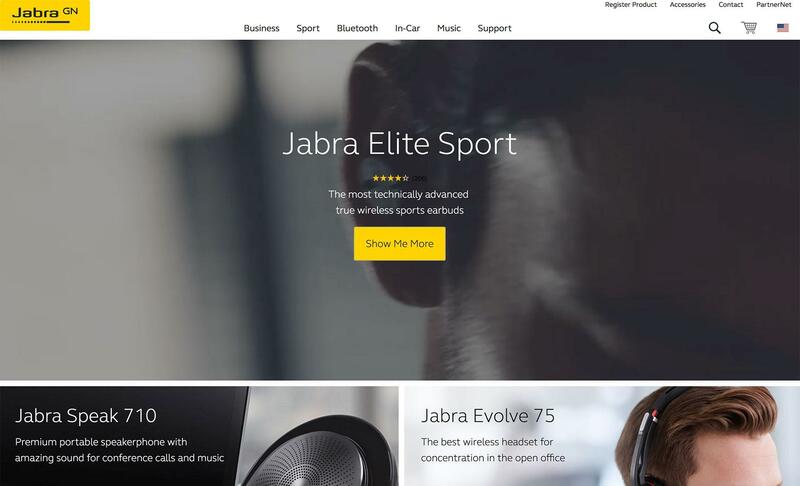 They were highly impressed with the product, and JABRA. In addition to the arranged interviews, we brought nearly 100 TV and print journalists to the booth so they could test and use the products as well. Our launch was the most successful in the company’s history and sales rose significantly. We developed something called “praise and buzz”, a 1-3 page spread of all press coverage we received there and everywhere else and made it available to our big box sales forces and phone store representatives. We distributed this quarterly. We kept up the momentum using our established media contacts. The success of our PR program, in its highest year, translated to over $124 million in equivalency to paid Advertising. In the fourth year of the program, our PR campaign won the Silver Anvil Award, from the Public Relations Society of America. This award program, held in NYC, is the highest honor a PR Campaign can win in any given year. Our entry beat out Microsoft’s Xbox program launch. As a footnote, our PR Plan was adopted and later used in Europe.